Transfer your Bookmarks from Delicious.com by September 23 or you will lose them! 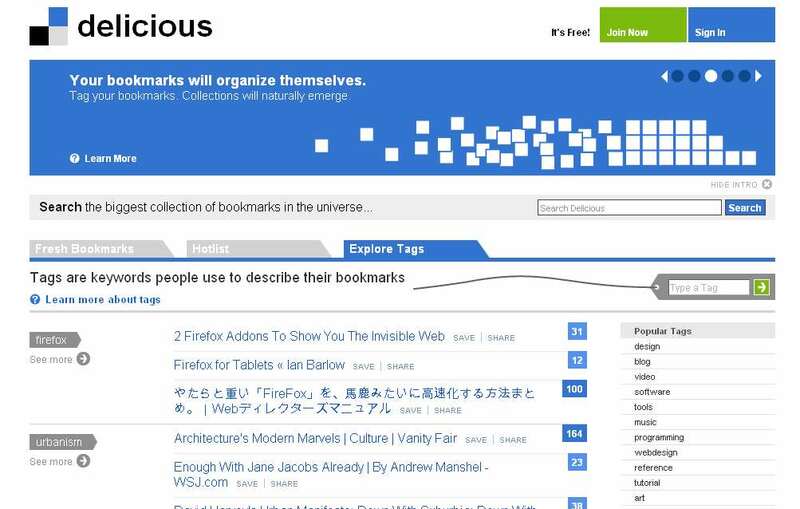 The most popular social bookmarking site www.Delicious.com is being relaunched. So it is asking all its user to permit the services to another company AVOS. These changes are being made after Delicious has been acquired by the founders of YouTube, Chad Hurley and Steve Chen. Delicious will soon become a part of the new Internet company, AVOS. So all the Delicious users are requested to transfer their services from Yahoo and move their bookmarks. To do this you need to agree the AVOS terms of service and opt for the service to save the bookmarks and get your data. Click here to opt for the service. AVOS is also warning the users to opt for the services otherwise they will lose all their bookmarks and account information. For safer side, you can even do the manual backup of your Delicious account by clicking here. « Block Large sized attachments in Microsoft Outlook. Octro Inc. brings back the game for Carrom lovers. How good is your Facebook privacy settings? What is Amazon Web Services (AWS)? How to permanently block Candy Crush notification on Facebook?